If any one thing stands out about the Aikido of Mitsugi Saotome Shihan, it is his randori work. The randori demonstrations Saotome Sensei performed during his tenure at the Aikido Hombu dojo. often against armed attackers, were stunning in their speed and intensity. No other teacher seemed to have his mastery of timing and movement. This Randori Intensive is an attempt to provide the principle based foundation for students and teachers to develop that kind of skillset. We will use slow / medium speed flow drills, exercises taken from Systema, reviewing waza skills, and other creative technique to prepare the attendee for any type of Aikido randori. We will practice empty hand randori, small space randori, hanmi handachi randori, randori against tanto, randori against shinai attack and mixed weapons. An emphasis will be placed on applying “aiki” principles in the empty hand technique to make the practitioner more efficient and effective. At Ledyard Sensei’s dojo, Aikido Eastside we have been developing this event for almost 30 years. We believe it is unique in its focus and content. Whether a student is attending his first Intensive or has attended many times in the past, it is our experience that he or she will make a substantive jump in level over this weekend. A testament to this fact is that the vast majority of students have come back repeatedly to participate again and again. Students routinely travel from all over the US and Canada for this training and several have even come from overseas. 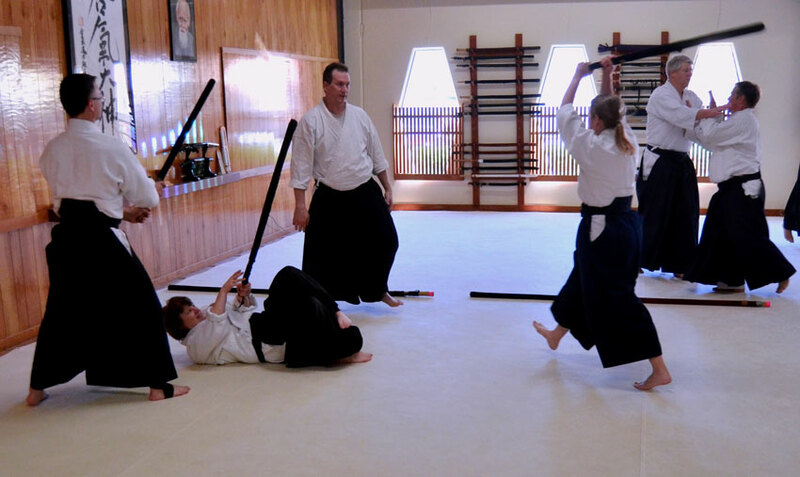 This training places equal emphasis on the technical and psychological aspects of Aikido and we feel that it is a paradigm shifting experience for the attendees, especially for those who have not attended before. We feel so strongly about this that we will refund the cost of the seminar for anyone who does not feel that this is one of the finest raining experiences they have ever had.